Three separate dreams were birthed into one vision when the Christian music supergroup 3for3 was formed. Now its members Benji Shuler, Spencer Lloyd and Josh Davis are working together to boldly provide the secular music world with inspirational content. As the debut act from music executive Mitchell Solarek's full service record label Maxx Recordings, 3for3 has managed to step up to the plate by breaking into the top 10 of contemporary hit radio as the most added single with their very first single "Halfway." The song is featured on the group's debut self-titled EP where 3for3 melds their Christian, R&B, pop, hip-hop and country influences together. It isn't easy to put a label on the group's sound and 17-year-old Josh believes the reason is because of each member's different experiences. "We all come from different backgrounds,have different styles and different elements that make up our music," he told The Christian Post. "I think the overall genre would have to be pop, though. There's also hip-hop and a little R&B flair there." Benji, the 18-year-old Nashville, Tennessee, native who raps and harmonizes for 3for3, believes it's more important to reach people than limit the group's music to one genre. "The style of music that is very much in the light right now is pop music and people are really looking for someone to follow, to be a part of, to just join in with. Everyone in the world today is looking for something to join in," he said. "With our music and with everything we do we want to be very personal, bring something that everyone can relate to, even if it's not our music. We want to make everyone feel like they're a part of it. The style of music that we're doing pretty much encompasses a lot of different things." The group's name comes from the scripture Psalm 34:3 which states: "O magnify the LORD with me, and let us exalt His name together," (KJV). 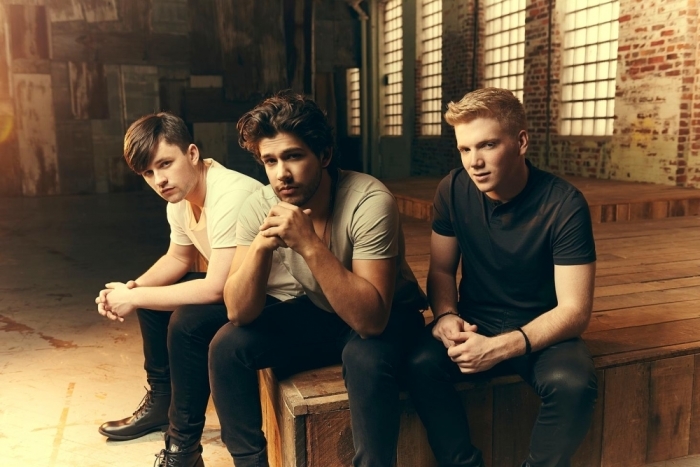 While each 3for3 member was raised singing in church, 20-year-old Spencer grew up listening to the likes of Jeff Johnson, John Mayer and Jason Mraz. Josh was influenced by a range of people like Justin Timberlake and Toby Mac. Benji, meanwhile, has been performing hip-hop since the age of 12. While the group is perfecting their sound on tour, coming together musically and personally has proven to be anything but easy. After Solarek decided to bring the young men together to form a group, they were thrust under one roof in a Nashville "band house" where they've been working day and night to develop chemistry personally and professionally. "Living together with three guys, we're trying to balance out the chemistry. I think working through that has helped us grow in our faith and just as human beings," small town crooner Josh told CP. "You realize everybody's different and all three of us are literally nothing alike. Just working through that has helped us really grow as men."